Do you or a family member receive Regional Center services? Your opinion is important. The Department of Developmental Services (DDS) has been working with a contractor to complete a rate study about service provider rates. More information about the rate study can be found here. As part of this, DDS is hosting seven meetings throughout the State this week for individuals who have a developmental disability and use regional center services, and for their families. The series of local meetings for regional center clients and families are meant to provide a vehicle and opportunity for people to make comments. 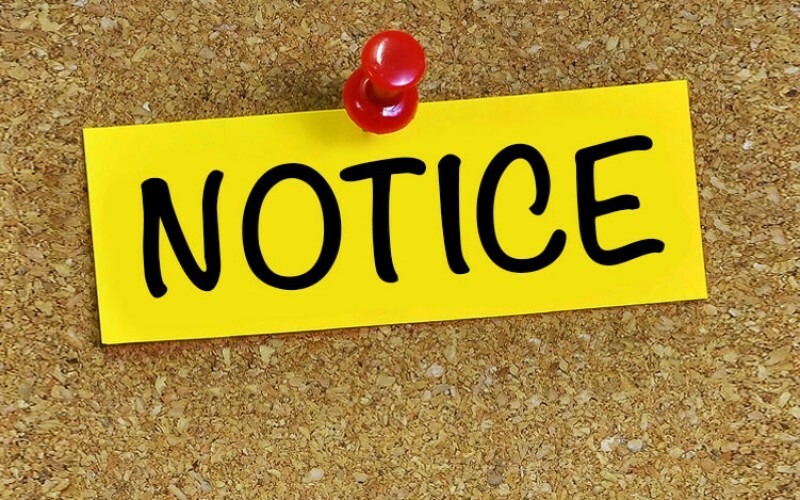 The public has until Friday, April 5, 2019 to submit any comments regarding the rate study and related documents and issues. The Los Angeles meeting is this Wednesday, March 20, 2019, from 4:30 to 6:30 p.m. in English only and from 7 to 9 p.m. in English with Spanish interpretation available at South Central Los Angeles Regional Center, 2500 S. Western Ave., Los Angeles, CA 90018. Space is limited for this meeting, so please register online as soon as possible at https://ddsratessouthla.eventbrite.com. Hear information about the rate study, including how and why it was done. 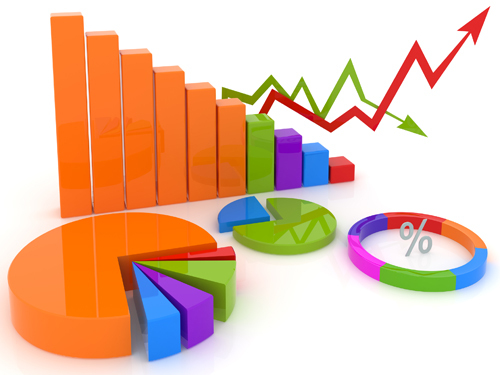 See highlights about the rate models and the rate study and where to find more information. Be able to give feedback and ask questions about the rate models. For questions about the meetings, contact Jami at CASurvey@hsri.org or call 503.924.3783, x.10 for help signing up. ¿Usted o un miembro de su familia recibe servicios del Centro Regional? Sus opiniones son importantes. El Departamento de Servicios del Desarrollo (DDS) está trabajando con un contratista en un estudio de precios sobre las tarifas de nuestros proveedores de servicios. Puede encontrar más información sobre el estudio sobre las tarifas aquí. Como parte de esto, DDS organiza siete reuniones en todo el Estado esta semana para personas que tienen una discapacidad del desarrollo y utilizan los servicios del centro regional, y para sus familias. La serie de reuniones locales para los clientes y las familias del centro regional están destinadas a proporcionar un vehículo y una oportunidad para que las personas hagan comentarios. El público tiene hasta el viernes 5 de abril de 2019 para enviar sus comentarios sobre el estudio de tarifas y los documentos y problemas relacionados. La reunión en Los Ángeles es este miércoles, 20 de marzo de 2019, de 4:30 a 6:30 p.m. solo en inglés, y de 7 a 9 p.m. en inglés con interpretación en español disponible en South Central Los Angeles Regional Center, 2500 S. Western Ave., Los Angeles, CA 90018. El espacio para esta reunión es limitado, así que regístrese en línea lo antes posible en https://ddsratessouthla.eventbrite.com. Conocerá información sobre el estudio de tarifas, incluyendo cómo y por qué se lo realizó. Ver los puntos destacados sobre los modelos de tarifas y el estudio de tarifas, además de indicarles dónde encontrar más información. Tendrá la oportunidad de hacer comentarios y preguntas. Si tiene preguntas sobre los reuniones, contacte a Jami por correo electrónico a CASurvey@hsri.org o llame al 503.924.3783, x. 10, para recibir ayuda para inscribirse. 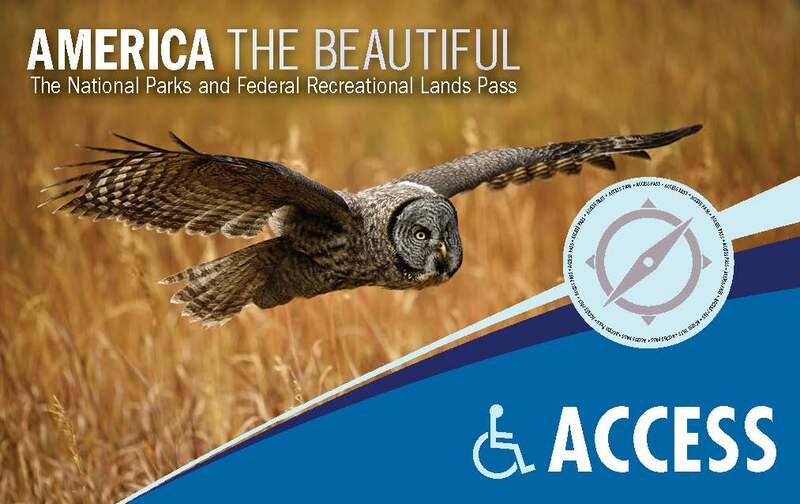 If you or your child has a permanent disability you may be entitled to a free, lifetime pass to visit the National Parks and Federal Recreational Lands. Qualifying disabilities include physical, mental or sensory impairments. A document issued by a state agency such as a vocational rehabilitation agency, which attests that you have been medically determined to be eligible to receive vocational rehabilitation agency benefits or services as a result of medically determined blindness or permanent disability. Showing a state motor vehicle department disability sticker, license plate or hang tag is not acceptable documentation. You’ll need to fill out this application, and then either mail it in with a $10 processing fee or go to a federal recreation site in person with proof of disability and residency. The Access Passes can also be purchased online through store.usgs.gov/access-pass, which is the organization’s preferred way to receive applications. The Aquarium of the Pacific presents free Abilities Night for people with disabilities and their families. With the exception of Lorikeet Forest, all animal exhibits will be open. On Sunday, March 24, 2019 from 6 to 9 p.m. at 100 Aquarium Way, Long Beach, CA 90802. Capacity is limited. Advanced reservations are required. You can make reservations online for up to 6 guests at www.aquariumofpacific.org/events/info/abilities_night/. For groups of seven or more, call 562.590.3100, x. 0. 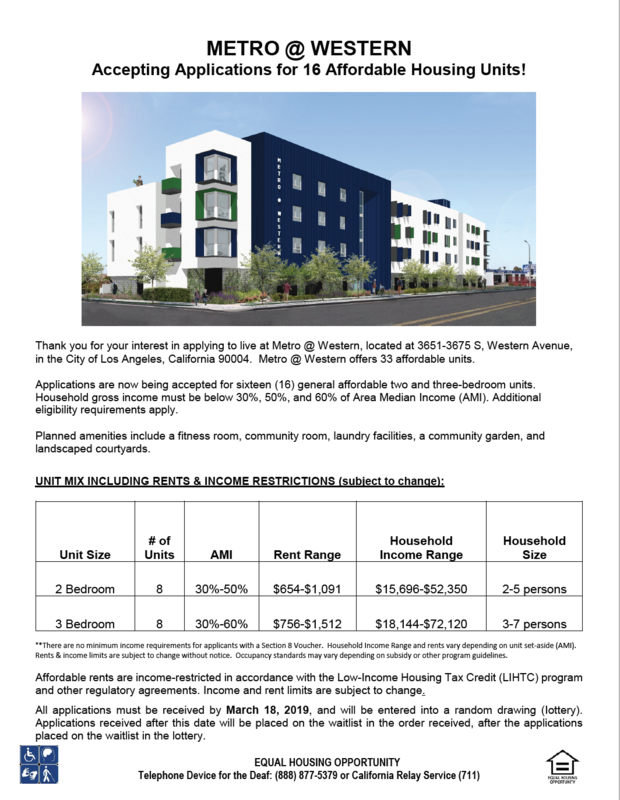 Pre-applications for a new housing opportunity in Los Angeles located at 3671 S. Western Ave., Los Angeles, CA 90004, are available now through March 18, 2019. The Metro@Western has 16 units - (8) two-bedroom and (8) three-bedroom units available in a brand new building. If someone is interested and has a Section 8/housing voucher, there is no minimum income requirement. All applications must be received by March 18, 2019. Applications received after this date will not be accepted. Applications received by the deadline will be entered into a random drawing (Lottery). Incomplete pre-applications may be rejected. Please submit your pre-application and grounds for denial by USPS First-class mail. They will not accept pre-applications that are over-nighted, faxed or sent certified mail. Please take your time in accurately completing the pre-application and submit it as soon as possible. Each household may only submit one pre-application and grounds for denial. Duplicate household pre-applications will not be considered. 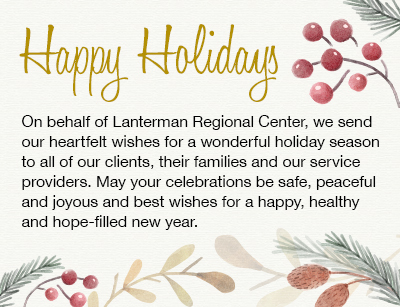 On behalf of Lanterman Regional Center, we send our heartfelt wishes for a wonderful holiday season to all of our clients, their families and our service providers. May your celebrations be safe, peaceful and joyous and best wishes for a happy, healthy and hope-filled new year. CalABLE is launching in December. 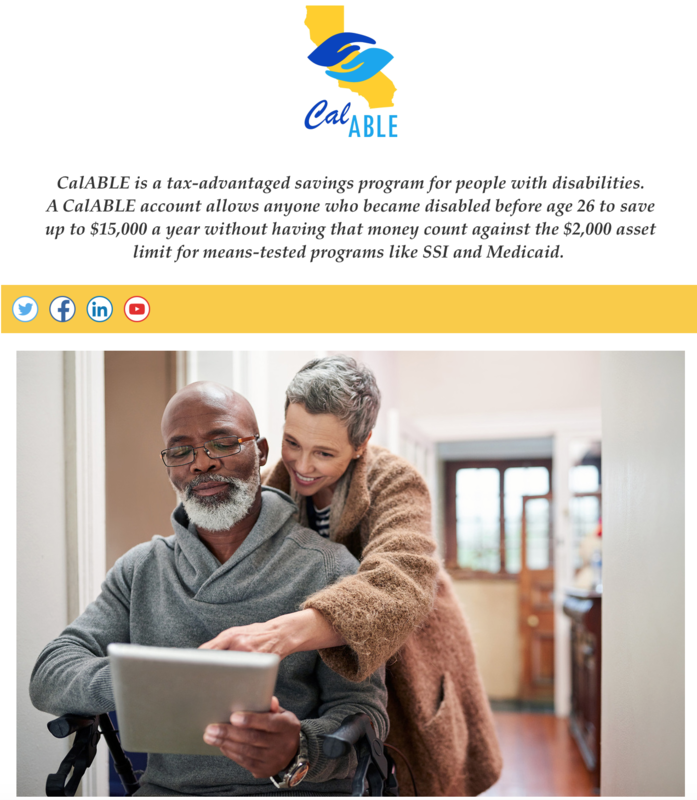 CalABLE is a savings and investment plan enabling individuals with disabilities to save for the future without jeopardizing their public disability benefits. As part of their launch activities, they will be holding two kickoff events with California State Treasurer John Chiang and some of their community partners and CalABLE enrolles - one in Northern California and one in Southern California. Join them to learn more about the program, meet Treasurer Chiang and CalABLE staff, and chat with community advocates. They hope that the many stakeholders and potential participants who have been on this journey with them as they've developed CalABLE will join them to mark this occasion. December 19, 2018 at 10:30 a.m.
For more information, contact Carrie Fisher Stone at carrie.fisherstone@treasurer.ca.gov. The most effective way to fight the flu is with the flu shot. There are a number of things to consider during cold and flu season, so be sure to check out our Colds and Flu Fast Facts sheet for more information about the difference between a cold and the flu, how to prevent the spread of germs, and protect against the flu with a flu shot. To that effect, Lanterman's Clinical Services Department compiled a handy schedule of locations within the Center's service area that are providing flu shots during the month of November. Some of the flu shot clinics are one-day, while others are taking place all month long. Some require an appointment, while others are walk-in. Please note that some may have a small co-pay. Click the link below to view and download the schedule. Glendale has 31 Affordable housing units that will be available soon, with one property ready for move-in as soon as December 1, 2018. Applications for the lottery will be available and accepted starting October 30 through November 27, 2018, but don’t wait, the sooner you can apply the better as there is no guarantee that the lottery list will remain open during the above period. Preference will be given first to those who currently live and work in Glendale. See the informational flyers for more information. If you have any questions, contact Lanterman Housing Specialist Shannon Rains at 213.252.8644 or srains@lanterman.org. "Building A System for Tomorrow, Supporting People With Developmental Disabilities To Lead Inclusive Lives"
California’s network of 21 independent, non-profit regional centers advocate and coordinate services for over 320,000 people with developmental disabilities. Regional centers strive to achieve the intent and mandates of the Lanterman Developmental Disabilities Services Act by providing a wide array of lifelong community-based services and supports to enable individuals with developmental disabilities to lead independent and productive lives in their chosen communities. This paper focuses on the essential resources the developmental services system needs to build a system for the future - to support individuals with developmental disabilities to lead inclusive lives they choose for themselves in their own communities. People with developmental disabilities want to be included in community life, neighborhoods, and jobs. This is consistent with a national trend and federal expectation. Individuals may need services and the assistance of skilled staff to support this choice. These factors should be considered in the rate study that will be released in March 2019, which will recommend how to fund these services going forward. As California becomes more culturally and linguistically diverse, regional centers must be equipped with the resources and flexibility to provide culturally responsive services and supports. 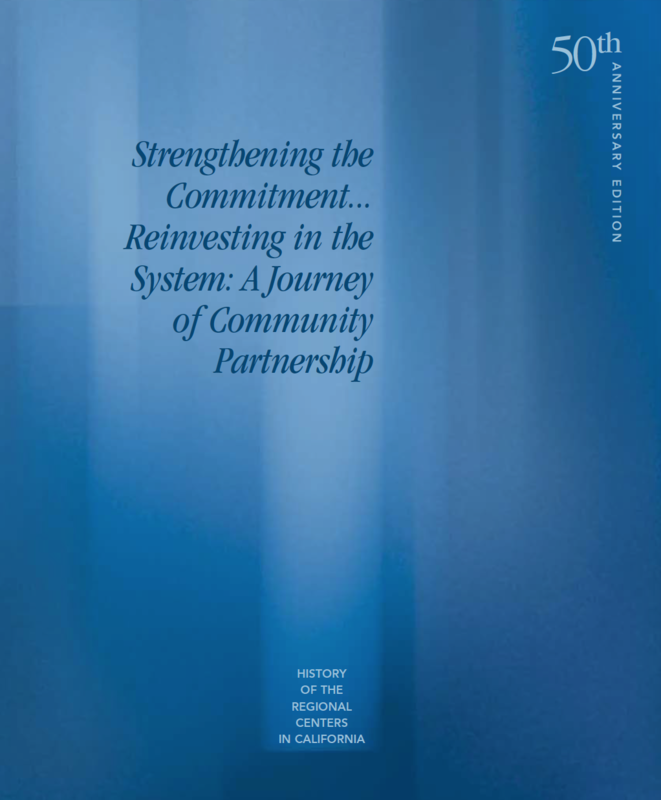 Equitable access to needed services requires partnerships within diverse communities, service coordinators with adequate time to help individuals navigate service systems, and long-term commitments to allow these efforts to effect change. People with developmental disabilities who have complex needs require well-coordinated services and supports to ensure safe community living. Access to quality health care, including more accessible clinics, adequately trained clinicians, and suitable reimbursement rates, is the first step in achieving this goal. As people with complex forensic, behavioral, and psychiatric needs are increasingly living in community-based settings, systems must be in place to develop the expertise and specialized resources required for them to live and thrive in the community. At the heart of the regional center service system is service coordination, so nurturing the relationship between the individual with developmental disability and the regional center is key. 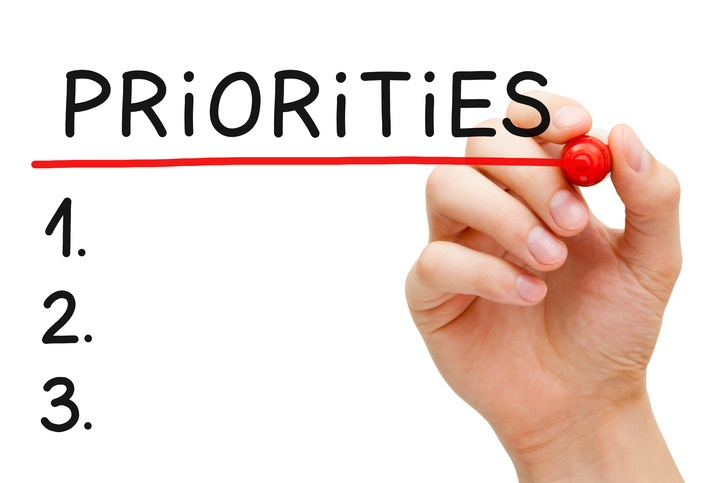 Well-crafted person-centered plans require sufficient time to create in addition to the quality services and supports necessary to meet the unique needs of the person. The Self-Determination Program will allow more flexible choice in services, providers, and budgeting, but also require adequate resources to train, make system changes, and prepare for a dual system of service delivery. Lanterman and Esperanza Community Housing have partnered together since 2013 through the Promotora Program to meet the needs of individuals and families, increase access to and utilization of services, and support the empowerment of communities. 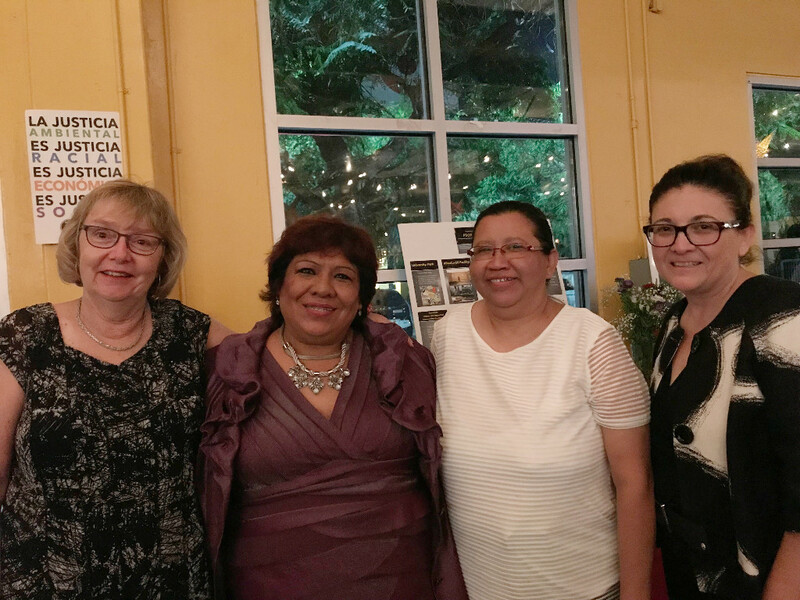 And at their 17th Annual Dancing Under the Stars Dinner Celebration they presented Lanterman with the Esperanza Community Housing Social Justice Award. Esperanza Community Housing Corporation is a social justice non-profit in South Central Los Angeles that achieves long-term, comprehensive community development by developing and preserving affordable housing; elevating health equity and access to care; mobilizing for environmental justice; creating and protecting local economic opportunities; expanding engagement in arts and culture; and advocating for policies protecting human rights. 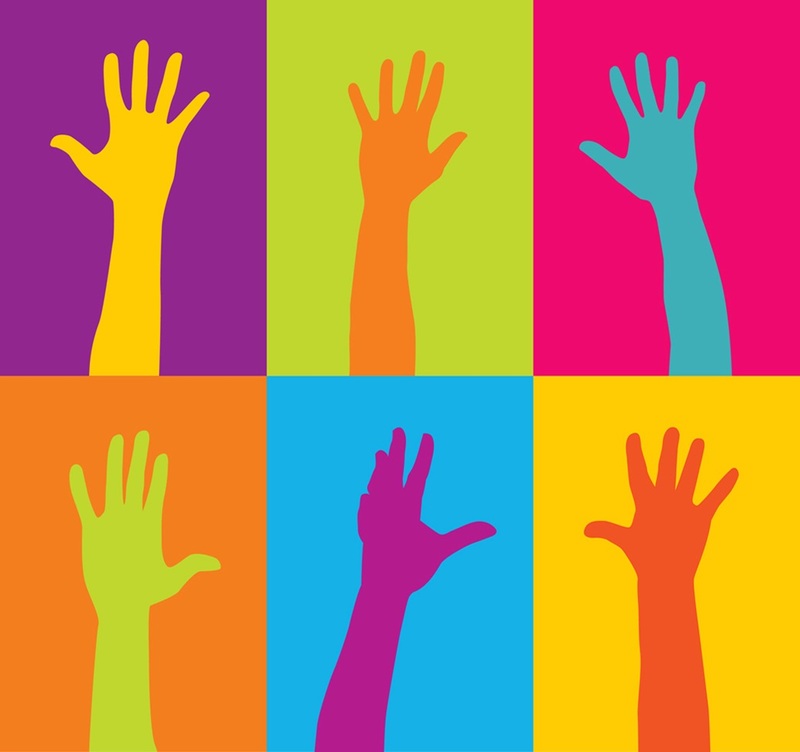 help themselves through a "hands-on" teaching approach. The TIGER program is not a professional advocacy program or a program that trains parents to help other parents; it is a special education advocacy training for low income/modest income parents and guardians of students with disabilities designed for parents to help themselves by understanding special education and special education law. Parents meet once a month for 11 months and are taught about the special education legal system by advocates, attorneys and other professionals. Learning Rights Law Center is now accepting applications for the TIGER Program 2019. All submissions are due no later than November 9, 2018. El programa TIGER es una capacitación de auto defensa sobre la educación especial para padres y tutores de bajo ingreso/ingresos modestos que tienen estudiantes con discapacidades. Los padres se reúnen una vez al mes durante 11 meses y defensores, abogados y otros profesionales les enseñan sobre el sistema legal de educación especial. For 21 years, ornaments made by persons with developmental disabilities have adorned the State Capitol Tree, and the Department of Developmental Services has put out the request for ornaments for 2018's tree. Their goal is to contribute 800 ornaments to this year's tree. To be included on the tree, DDS must receive all ornaments by Friday, November 9. The tree lighting ceremony will take place the first week of December. This year, as in previous years, a child with a developmental disability will participate in the televised ceremony. 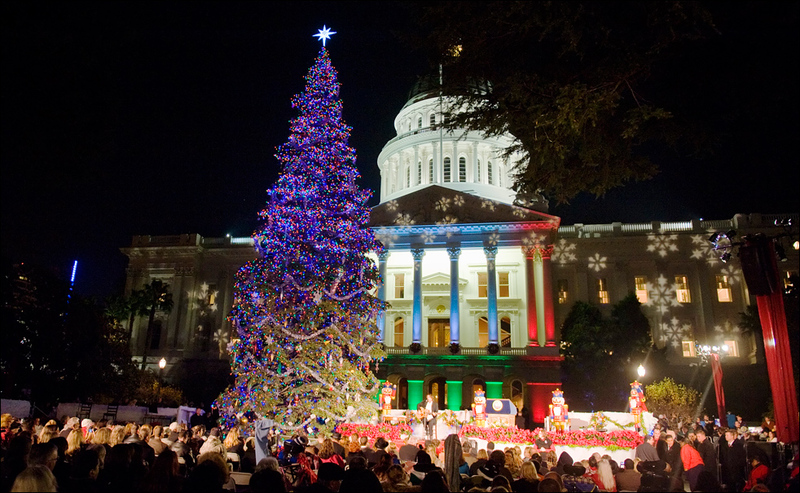 The child will place one of the ornaments onto the tree during the ceremony with Governor Jerry Brown and First Lady Anne Gust Brown. October is National Disability Employment Awareness Month. 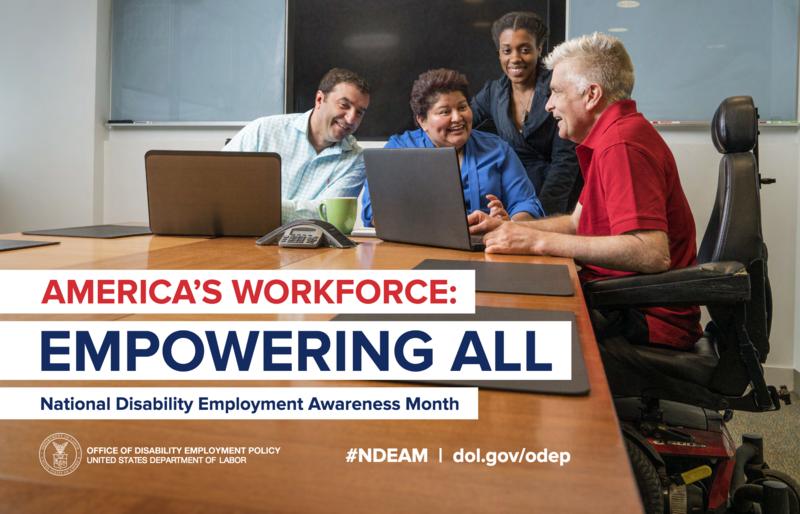 The purpose of National Disability Employment Awareness Month (NDEAM) is to educate about disability employment issues and celebrate the many and varied contributions of America's workers with disabilities. For specific ideas about how you can support National Disability Employment Awareness Month, visit www.dol.gov/ndeam. 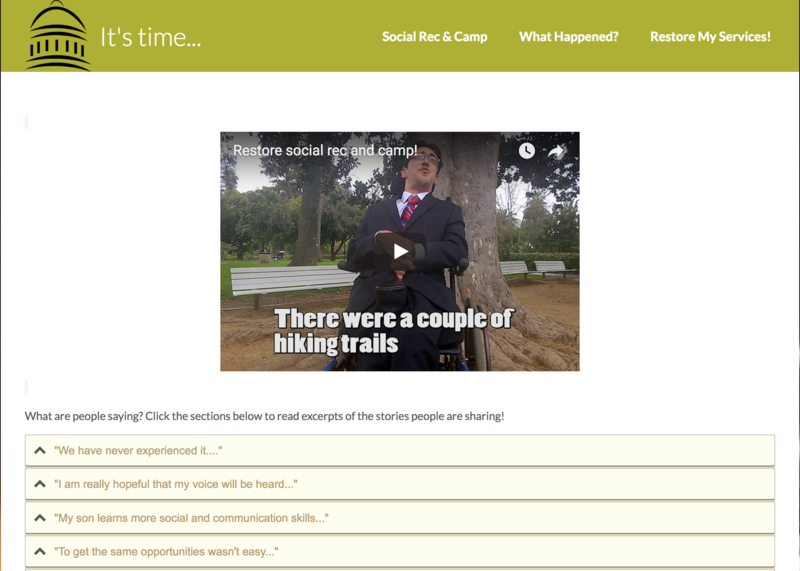 Suggestions range from simple, such as putting up a poster, to comprehensive, such as implementing a disability education program. Regardless, all play an important part in fostering a more inclusive workforce, one where every person is recognized for his or her abilities — every day of every month. Governor Brown recently signed SB 1274 (Developmental services: Data exchange). 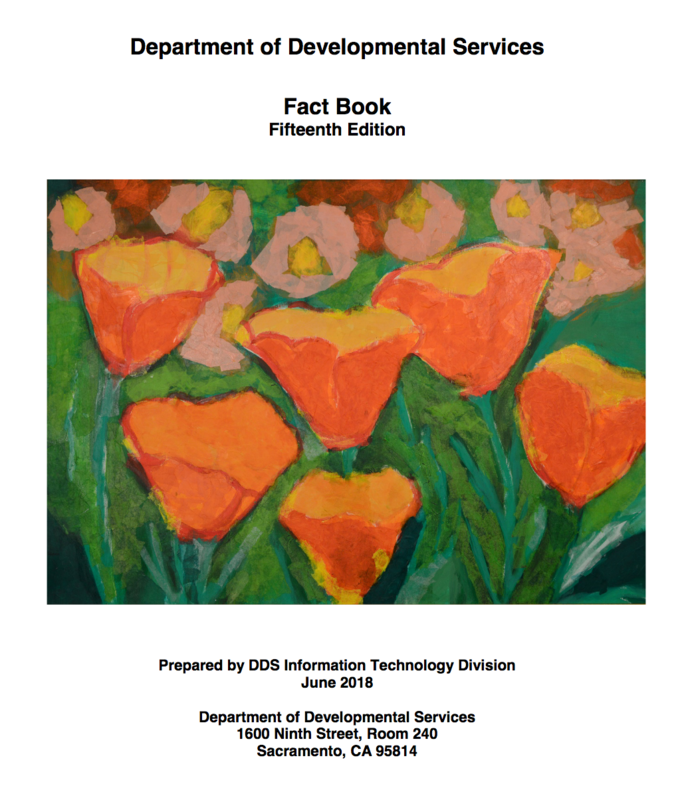 The bill, authored by Senator McGuire, authorizes data sharing between the Department of Social Services and the Department of Developmental Services regarding CalFresh and CalWORKS program. SB 1274 also builds upon AB 1696, signed into law last year, which authorized data sharing between the Employment Development Department and the Department of Developmental Services. These two sets of data will be examined by the Employment First Committee to improve their understanding of implementation of the competitive integrated employment policy for individuals with intellectual and developmental disabilities. “Data is so important to the work we do at the State Council. We rely on it to implement policies. We are grateful for the leadership of Governor Brown and Senator McGuire for making this data sharing legislation a reality,” stated Council Chairperson Sandra Smith. 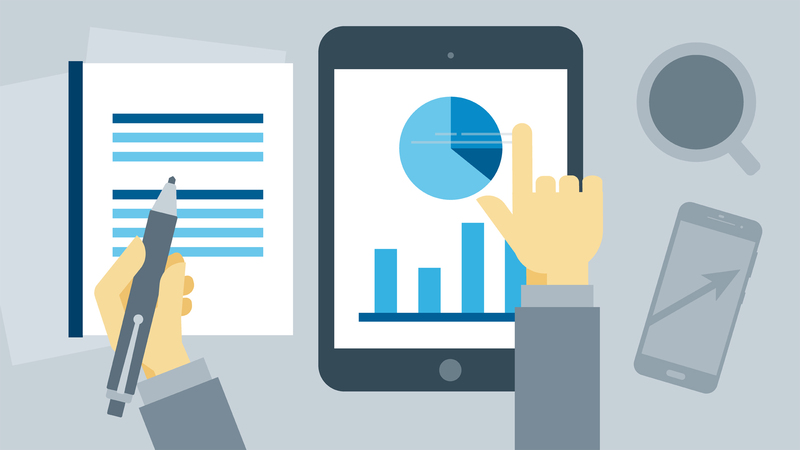 By obtaining more nuanced data, the Employment First Committee can better analyze the factors that contribute to progress toward competitive integrated employment. The additional data will also assist the Committee in the development of more effective data driven policy and strategy recommendations to improve employment opportunities for persons with intellectual and developmental disabilities. SB 1274 is another positive step in realizing the goal of competitive integrated employment for every Californian with an intellectual or developmental disability. The Department of Development Services (DDS) makes limited start-up funds available to develop resources for people moving out of locked institutions and into their home communities. This year DDS is also making these limited funds available to develop resources for regional center clients who are already living in the community. To determine what resources might be needed for our community members, Lanterman Regional Center held community input meetings on August 1 (English) and August 8 (English and Spanish). A total of 63 individuals participated. Lack of access to medical clinics, dental services, psychiatrists, skilled nursing and other health related services. Some access issues due to not enough providers familiar with our clients, some due to lack of services accepting MediCal rates. One-stop center to help clients pay their bills, have notices explained (i.e. – SSA or legal notices), receive help completing applications, additional case management, etc. 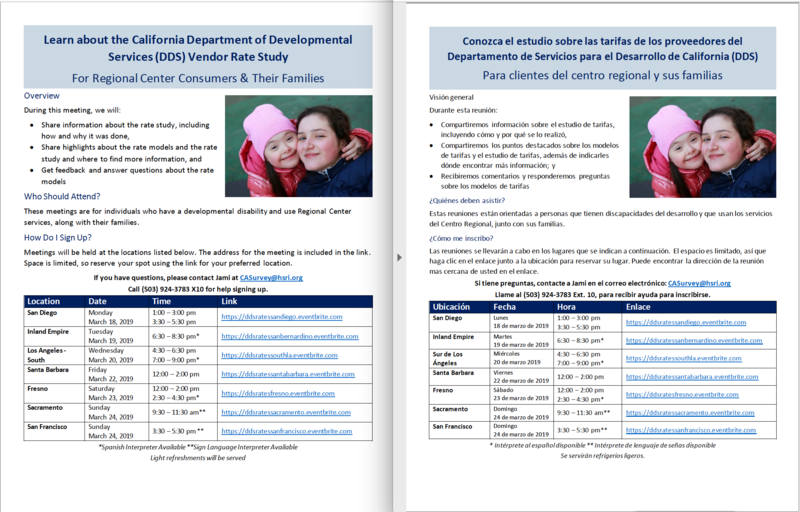 Behavior services with increased capacity for Spanish-speaking clients. Last month, Howard McBroom, peer advocate, accompanied by Brian Nguyen, Easter Seals Southern California program director, headed to Sacramento to present the Assembly Leadership Award to Assemblymember Chris Holden at the Annual Legislative Awards Dinner. Brian says, "Hosted by Easter Seals, the awards honor senators and assemblymembers who have done fantastic work for our services, and most importantly, our individuals." Howard thanked Assemblymember Holden for all his work sponsoring the one-time only bridge funding request of $25 million to help service providers pay for unfunded costs. Howard shared in his presentation speech that "we need to stay competitive in today’s world or else we will be left behind." Brian adds, "He did an absolutely wonderful job presenting the award to Assemblymember Holden." As for the rest of the evening, Howard and Brian enjoyed dinner and spoke to/took pictures with senators and assemblymembers, thanking them for all the work they have done. The Department of Developmental Services today informed the public about a recent incident that may have resulted in the breach of confidential information. On February 11, a break-in occurred at the DDS legal and audits office building in Sacramento. The trespassers ransacked files, vandalized and stole state property and started a fire. The Department has no evidence that personal and health information was compromised due to the incident. However, out of an abundance of caution, it is notifying clients and the public about the incident and following federal requirements regarding potential breaches. As detailed in the notices below, the people who broke into the building had access to the health information of about 582,000 individuals served by DDS. They also had access to the personal information of about 15,000 employees of regional centers, service providers, applicants seeking employment with the Department’s audits office, and parents of minors enrolled in DDS programs. DDS immediately notified law enforcement authorities when the incident occurred, and an investigation is ongoing. Lanterman community members attended 2018 Grassroots Day in Sacramento. Lanterman community members who attended 2018 Grassroots Day in Sacramento include Gloria Levia, parent, and her daughter Angie Monson Leiva; Jae Rhee, parent; Kimberly Isaac, service provider; and Joe Perales, Lanterman family support specialist. Restore Social Recreation and Camp - Families use camp or social recreation services because they provide both social opportunities and a break for caregiving families. These services were suspended in 2009 and had a disparate impact on diverse communities, and these services should be restored. You can learn more at www.restoremyservices.net. Reject the "Uniform Holiday Schedule" - Disabilities don't take days off, so cutting off services directly hurts the individuals receiving these services and their families, and this amounts to a rate cut for service providers by forcing direct service professionals, many of whom are paid minimum wage, to take unpaid days off. Shore Up Regional Center Direct Services - Service coordinators are supporting too many people as result of old funding formulas resulting in high caseloads. Also, with the Self-Determination Program beginning soon, new regional center staff will be needed to manage implementation at the local level. Fund Affordable Housing - The developmental centers are in the final phases of closing down. This is an opportunity to rethink how the State funds affordable housing for our community. As we move to a purely community-based model, it is time to look at new ways to prioritize our population's housing needs. Support Assemblymember Holden's Bridge Funding Request - Assemblymember Chris Holden is advocating for one-time only bridge funding to help service providers pay for unfunded costs. Business are struggling. Provider rates have not kept pace with the cost of delivering services. Stabilizing those programs respects the choices of people served, saves the jobs of direct service professionals, and will help prevent service interruption.